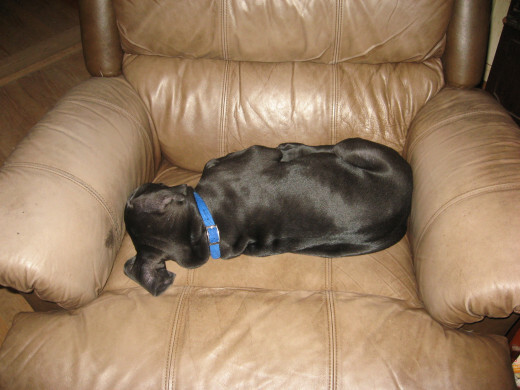 If you have a young canine that lives indoors, you want to know how to house train a puppy. I’ve been in this proverbial boat many times in the past, and now I’m in it again. 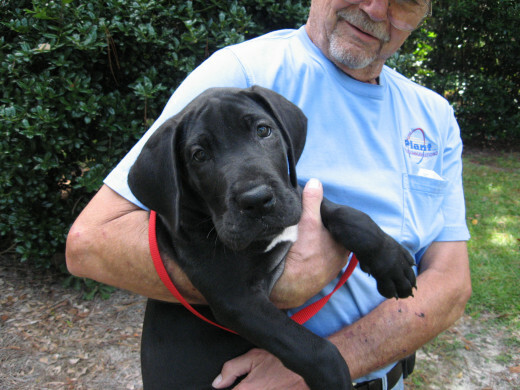 We have two male Great Dane puppies, brothers, that are eight weeks old. I haven’t seriously begun house training them yet, but I’m sort of getting them used to the idea. 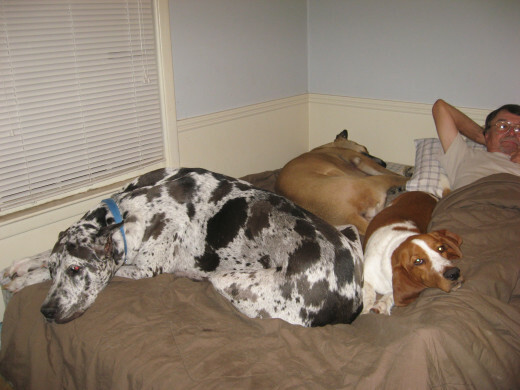 Their three “step-brothers,” two adult male Great Danes and one Basset hound, are all trained to potty outdoors. There are several methods you can use in house training a puppy. I’ve used three of the methods with success: crate training, puppy pads, and something I call dog behavior house training, for lack of a better term. Depending on your daily schedule and other factors, you might find one of these methods more convenient than the others. Also, one might work better than the others for your dog or puppy. To read about how to house train a puppy, using one, two, or all three methods, continue reading. House training a puppy is probably the first dog training a canine will receive. It can be extremely frustrating, but obviously, it’s also very rewarding. House training, or house breaking, is much easier with some dogs and puppies than it is with others. 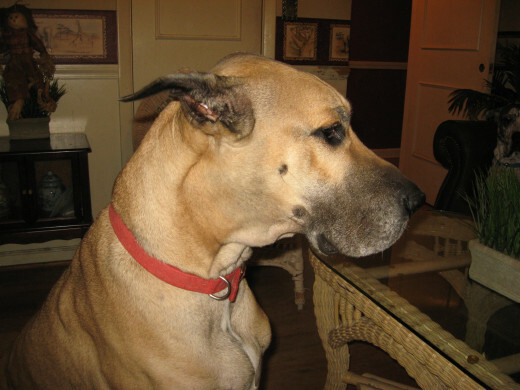 One of the adult Danes, Hamlet, was super easy to train, and the other big boy, Grendel, was fairly easy to train. Neither of these dogs ever has an accident in the house after being potty trained. I often think they’d rupture a bladder or an intestine before they’d mess up the floor. 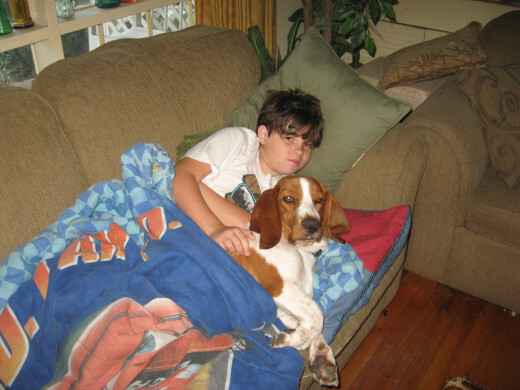 The two-year-old Basset hound, however, was difficult. It seemed to take him forever to understand the concept of house training. Even now, he has accidents occasionally. Some people say that house training a puppy is easier than house training an adult dog, but I disagree. At least an older pup or an adult canine has control of its bladder and bowels, which is definitely a step in the right direction. 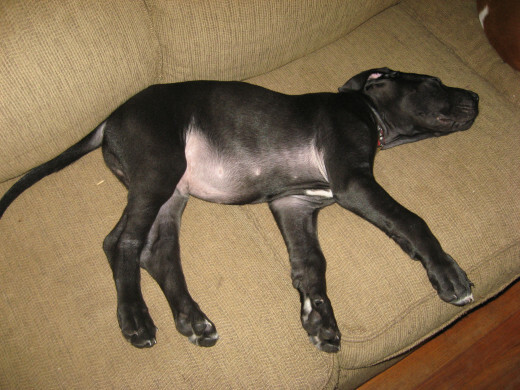 Young puppies can’t control their body functions well, and even when they can, they sometimes don’t realize they can. Don’t be too strict with young puppies. Accidents often aren’t their fault. They can’t help it if they can’t “hold it” any longer. Crate training is probably the most popular method for house training a puppy – or a dog. We used this method with Sparky, our Basset hound. Sparky was rescued from our local animal shelter when he was about a year old. He had spent weeks in a dog cage at the shelter, so he didn’t mind his dog crate at all – for short periods of time. Once he’d had enough, he’d howl his heart out. If you have this same experience, ignore the howling and whining. Let the dog or pup out only after it’s quiet. If you let it out of the dog crate when it barks, howls, or whines, you’re reinforcing bad dog behavior by rewarding it. Crate training didn’t work so well with Sparkplug at first. He actually peed in his crate a couple of times. I finally convinced hubby that the crate was too large, so he moved the divider to make the hound’s area smaller. After that, he never soiled his crate again. He did, however, go in the house sometimes. Our vet said that the reason the dog wasn’t taking readily to crate training was because he’d been in a dog cage at the kennel for so long, he thought it was okay to pee in his crate. After all, he had no choice at the animal shelter. That made sense to me, so I knew we’d just have to be patient. Whenever we could catch Sparky in the actual act of soiling the house, we’d scold him with a sharp tone of voice. We never spanked him. We’d fuss at him and immediately set him outside. If he went, we’d praise him. Notice I said we scolded the hound dog only if we caught him in the act. This is where a lot of dog owners make a mistake. They’ll scold or spank a dog or puppy when they find a mess on the floor. This really confuses the canine. They don’t understand what they did wrong. They don’t associate the puddle or the pile with the act of peeing or pooping. How to house train a puppy? I’m going to tell you how to crate train a puppy – the way we did it. First of all, we made Sparky’s dog crate comfy. 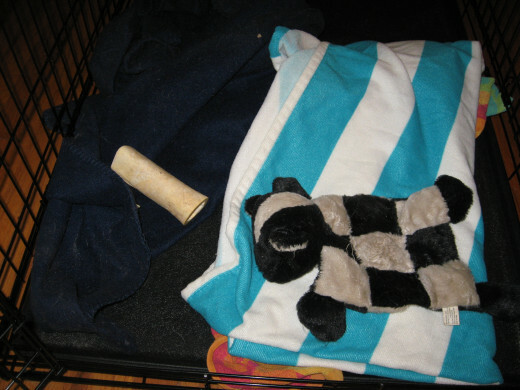 He placed a soft, warm blanket in the bottom, and we put the crate in the living room, as most dog experts suggest. Sparky didn’t like his crate being where it was noisy, so we tried placing it in a bedroom, and that worked out better. 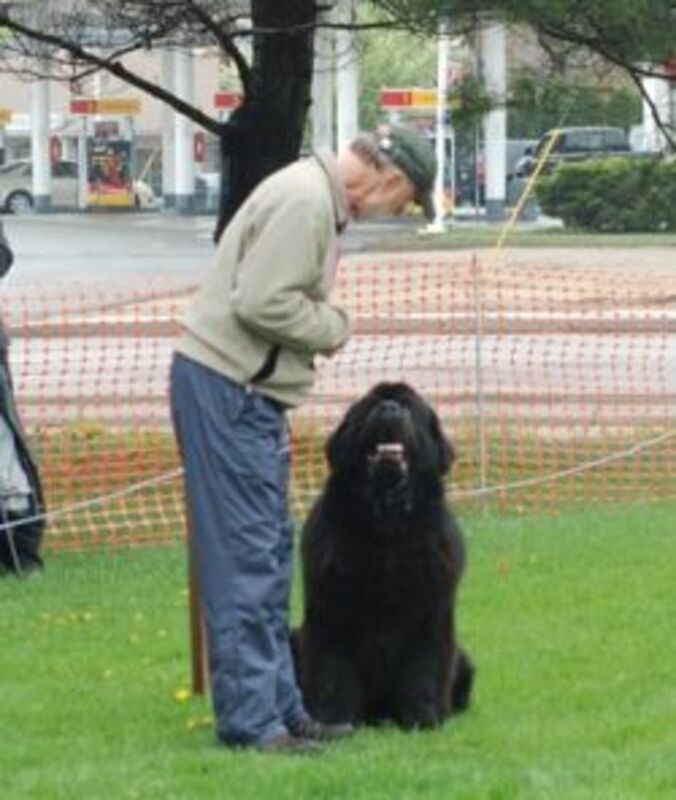 I think he saw it as his own personal space, where he could escape the other dogs and the grandkids. Sparky’s dog crate gave him just enough room to stand up and to turn around easily – after we made an adjustment. Also, we never put him in the crate as punishment. We gave him chews while he was in his crate, too. Some dog training experts suggest feeding the pup or dog in its crate, in order to help it get used to the cage. We didn’t do that because Sparky was already used to being caged. We did, however, give him treats while he was in his dog crate. Puppies that aren’t used to crates or cages might be afraid of the strange contraption at first, so give the pooch time to feel comfortable with the new piece of furniture. 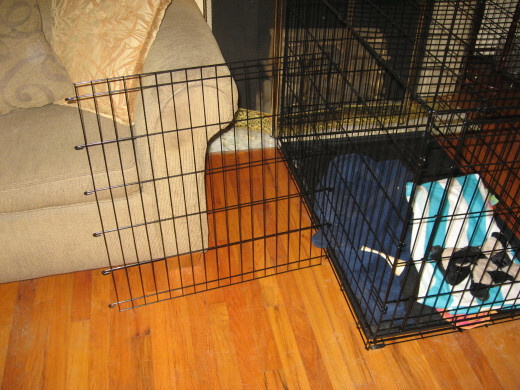 Leave the crate in the living room, around the family, and secure the crate door open. 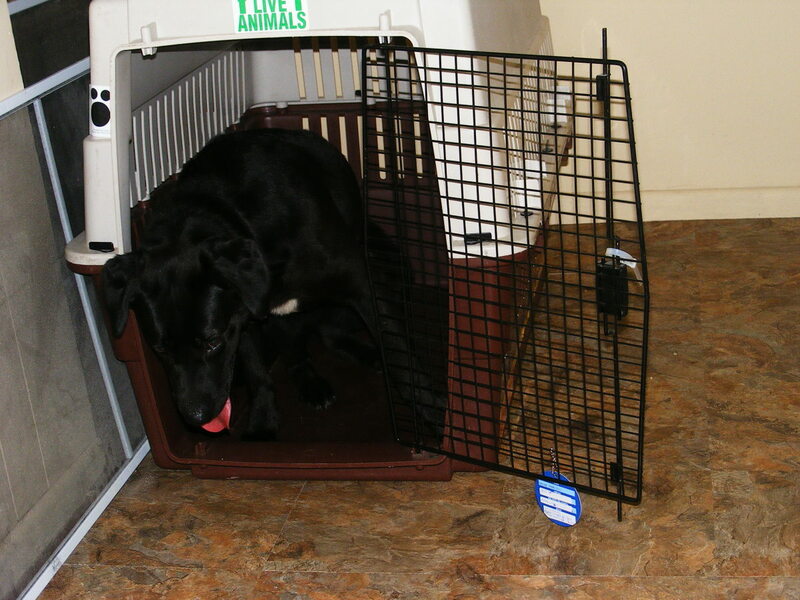 Once the canine is used to the crate’s presence, give it treats near the open crate. When the pup gets used to that, place some treats inside the cage, near the open door. Gradually place the treats farther and farther from the door, until finally, the puppy will enter the crate to get a treat from the back. You might want to use toys instead of treats, or you might prefer using a combination. Crate training works with a dog’s natural instincts. In the wild, dogs have dens, and the crate serves as the den. Dogs don’t like to soil their dens, so this behavior should transfer to the crate. 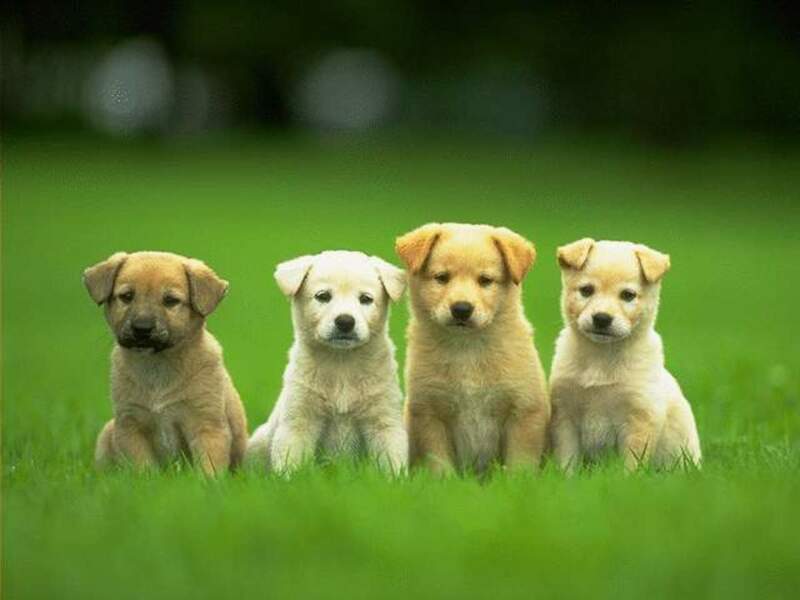 Puppies should begin crate training by spending small intervals in the crate. As the pup gets older and has more control over its bladder and bowel, time spent in the crate can gradually be increased. When we let the Sparkster out of his crate, we immediately took him outdoors. If he went potty, he received praise. If he didn’t go when he went outside, we either returned him to his crate or watched him closely when we brought him back inside. If he looked like he had to go, back outdoors he went. We also took him outside after every meal. We didn’t leave him in his dog crate for hours on end. Some owners do that, and it’s unfair to the dog. Dogs don’t want to be penned up all day in dog crates, and doing so could lead to a lot of dog behavior problems. If you have a puppy that has to be left at home all day alone, don’t leave it in a crate all day. That’s just too much to ask of any dog – especially a puppy. If you have to be away from home for eight hours or so, hire someone to come over a couple of times during the day to walk your puppy. 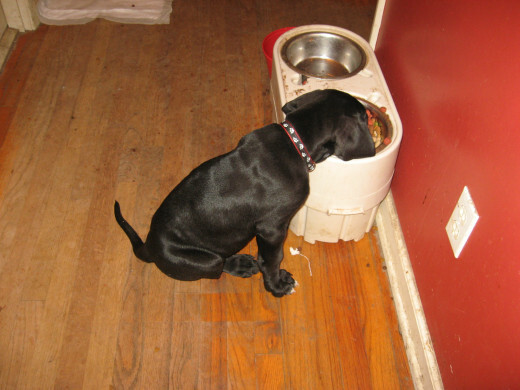 When you’re crate training a puppy, learn its schedule, and keep your own schedule for feedings. Canines do best with a set routine. A regular routine will help you with house training a puppy, too. you’ll pretty much know when he has to relieve himself, so there will be fewer accidents and a lot more successes. Once your dog is peeing and pooping outside on a regular, predictable basis, you can gradually allow him more free time out of the crate. Be careful not to move too quickly from one step to another. Slow and steady is how to crate train a puppy. Do you know how to house train a puppy with puppy pads? For house training the puppies we have now, we’re using puppy pads. To be honest, this is the first time I’ve ever used this method. 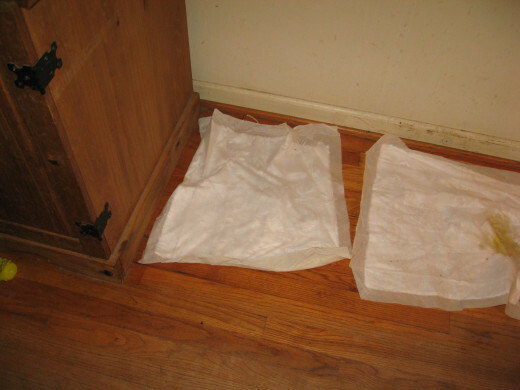 Our best friends used them successfully with their Shorkies, so we decided the pee pads were worth a try. So far, we like them. What are puppy pads? They’re soft square pads that have a plastic back or bottom. Most of the pads are treated with a hormone that’s supposed to work as a puppy attractant. In other words, the embedded scent is supposed to encourage the pup to pee on the pads. Anyway, hubby went to the store and purchased a big package of puppy pads, and we set them around everywhere – like three or four in every room the pups have access to. The first day didn’t work out so well. 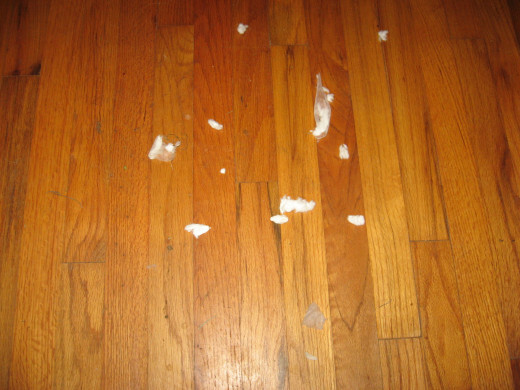 The little boys went to work immediately, tearing several of the puppy pads into tiny shreds. They didn’t use a single pad that day for their intended purpose. I was ready to throw the rest of the pee pads away. Then, the next day, something magical happened. The puppies actually began peeing and pooping on the pads! I have no idea why, but I was happy about it. Sometimes their aim wasn’t true, but they had the right idea. After a few days, we reduced the number of pads. Once they have that down, we’ll begin moving the pads closer to the door. Then we’re supposed to place a pad or two outside. Supposedly, the puppies will eventually learn to always go outdoors. Since our Great Dane puppies aren’t potty trained yet, I can’t tell you for sure that the pad method is going to be successful. I can tell you, however, that they’re saving hubby and me a lot of work, and they’re saving my floors. When a pad is soiled, all we have to is pick it up and toss it in the trash can. I think puppy pads are wonderful inventions! I’m not really sure what to call this third and final way of how to house train a puppy, but I used it with Hamlet and Grendel. I sort of call it the dog behavior method. This method of house training only works if you’re home all day and can watch the dog or pup closely. You’ll learn to get the hang of being able to predict pee and poop times for your pet. 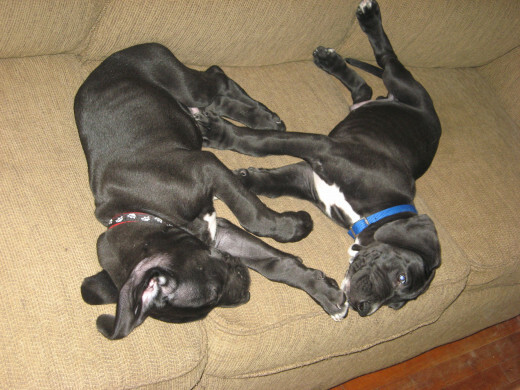 Our puppies usually had to go when waking up from a nap or sleep, after eating, and after playing hard. Also, when Hamlet or Grendel had to go, they’d usually sniff around on the floor or walk in circles. I’d anticipate their urges and quickly take them outside. When they peed or pooped outdoors, I’d praise them. 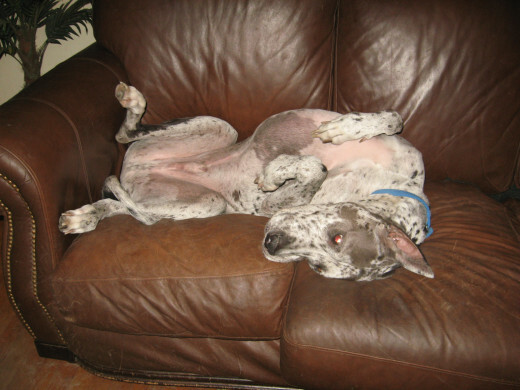 This house training method worked for my big boys – no dog crate, no puppy pads. Hamlet and Grendel are smart, and it didn’t take them long to understand that outside was for bathroom breaks. There was a problem, though. They knew to go outside, but they didn’t know how to tell me they needed to go out. I solved this problem with a bell. I hung a jingle bell from a cord on the handle of the front door. I manipulated the dogs’ noses so they’d ring the bell in order to make the door open. Believe it or not, Hamlet understood after just one demonstration. He’s a truly exceptional canine, however. It took Grendel a little longer to learn to ring the bell when he needed to go. After a couple of months, I removed the bell, and the Danes started coming to get me when they needed to go out. now they whine or bark when they need to go potty. Why do I call this the dog behavior method of house training? I call it that because it uses typical canine behavior. Dogs want to please the pack leader, which should be your role. If you can show them what you want, most dogs will comply. Also, most dogs don’t like to soil their living space. If your home is their living space, they should instinctively understand that it’s better to use the bathroom outdoors. I think something else that’s helping our puppies learn to potty outdoors is the fact that we have other dogs. We often take the pups out with one of the adult dogs. 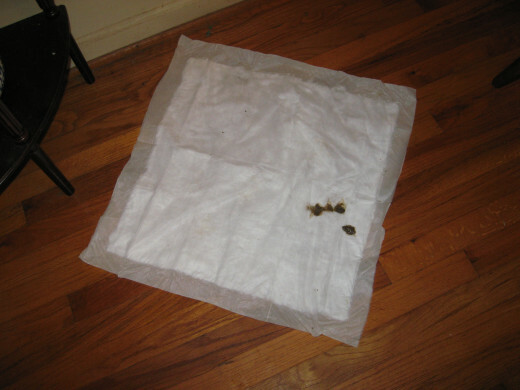 When the dog poop or pees, I’ve noticed that the puppies often follow suit. Oftentimes, a pup will use a spot close to where his big brother went. This could be just a coincidence, but I don’t think so – it happens too many times. I think it’s the scent that does the trick. Now you have the basics of how to house train a puppy. Of course, you can use the same strategies with adult dogs, too. 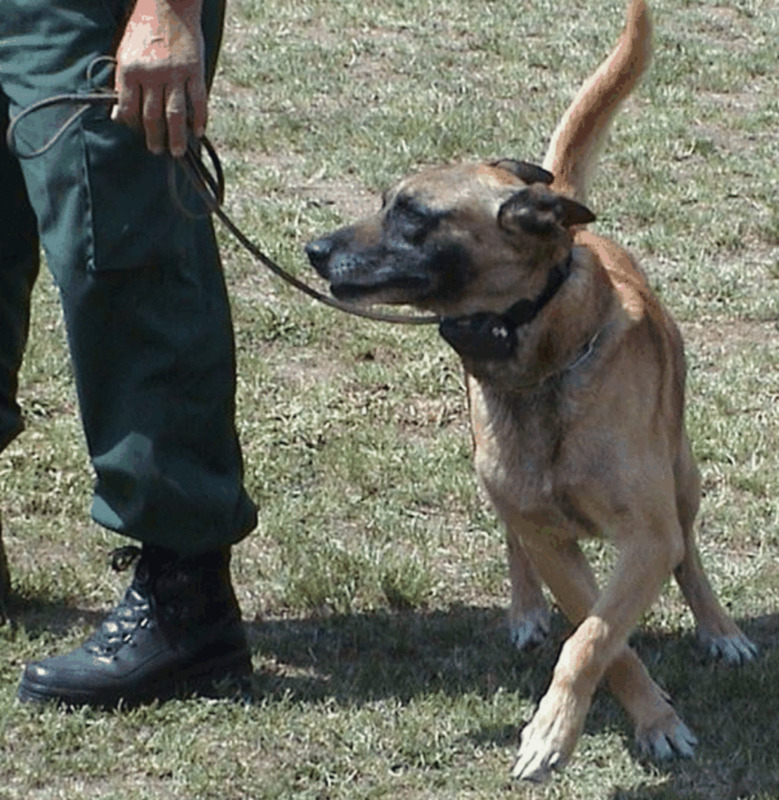 It’s probably best to choose a dog training method and stick with it for a while in order to give it a chance. Piling too much on a young dog will confuse and frustrate it. If, after a fair chance, one house training method isn’t working, try another one. Start with the method that you think will work best for you and your daily schedule. Whichever strategy and dog training method you use, remember to be patient and consistent. Don’t punish the dog for accidents unless you catch him in the act – not before or during, but in the actual act. 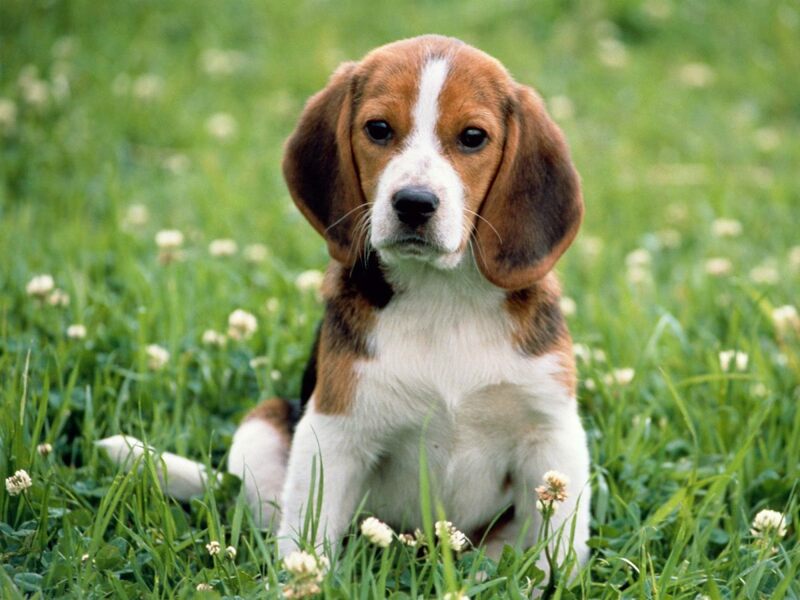 The way you treat a puppy can determine a lot about its temperament as an adult dog. The more time you spend with your puppy, the better you’ll get to know him and his habits. Use the information to your advantage when learning how to house train a puppy. I LOVE all of the adorable puppy pictures!! I especially loved the Skylock picture. :) Potty training our first puppy was a breeze and only took 3 days (Yes! ), but oh did we have too many expectations for our second. lol He took 3 months! Crates can be a God send, thanks for the advice. Also I see you like GA history, I wrote a book you might like. John, I'd be lost without my furry kids! We had temporarily fostered a puppy a few years ago, and luckily he was really good about following my pack outside, so there weren't a lot of accidents indoors. Our issue was if we so much as left the room and shut the door, he would scream so much, my other dogs would run for cover! Had we kept him, I don't know how we would've overcome that issue, but he was already adopted. :) Great advice here! Wow! You seem to have this training down pat; and the picture of your dogs demonstrate it. Thank you for sharing your expertise, even on how to keep house smelling good! Well, John, I mop every day, use a lot of scented candles, and bathe the dogs regularly. 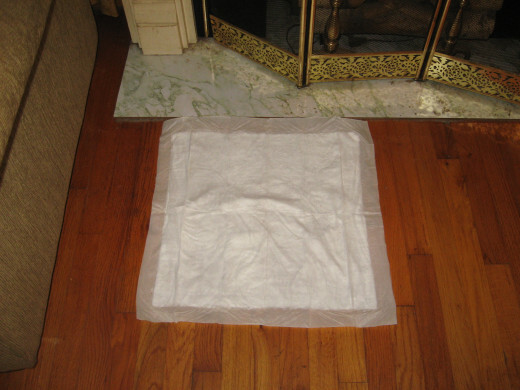 We don't have any carpet in our house, so the smells don't get embedded. We also wash the cushion covers on the sofa and use Febreeze. Looking after the dogs is a full time job! lol. Doc. I think I might actually be able to train Hammie to use a toilet - he's the smartest dog I've ever known. The wetnoses were trained at the shelter and they did pretty good once they came home. Interesting hub for those who need to learn these methods. Glad Sparky is back home and your pups, well, they look huge! Good sign. 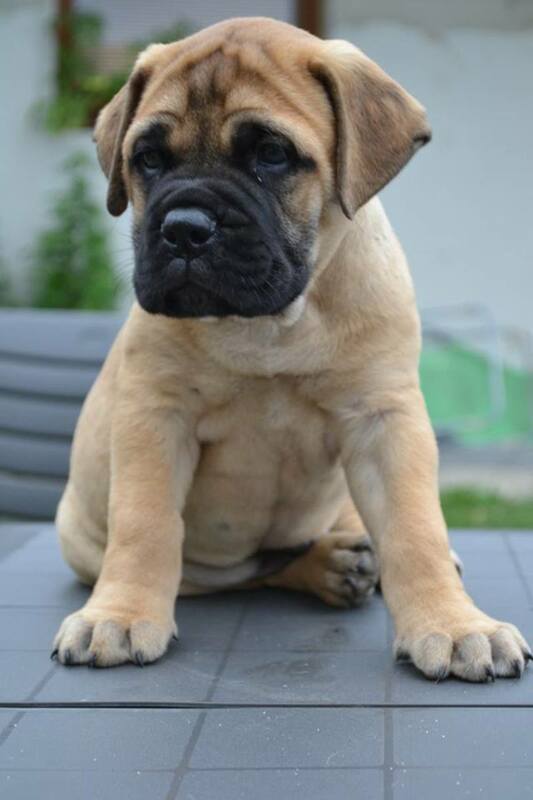 Growing into healthy dogs. So true, Leslie. You HAVE to have patience when house training a puppy! Great hub and awesome tips. 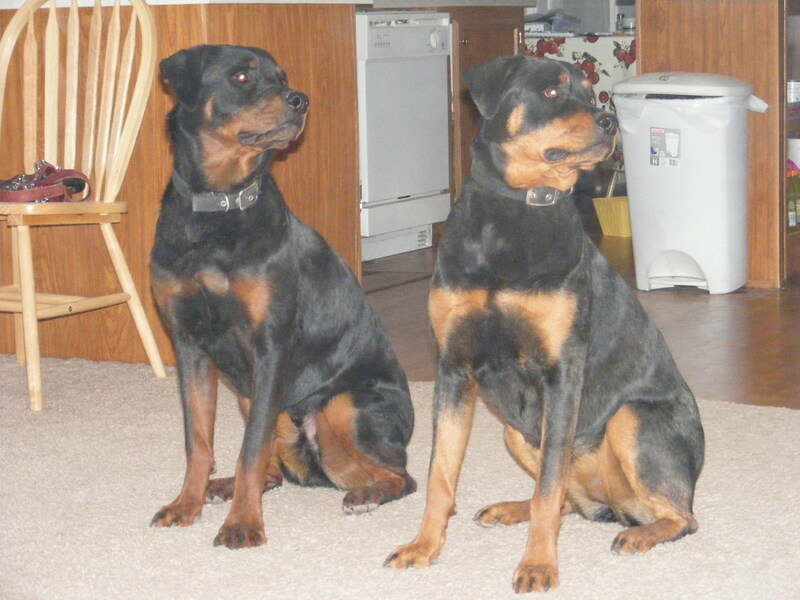 My puppies were hard to train at first but it's all about patience.